Trust the military to have one of the finest fighting knives around. The marines, in particular, have long-held the KA-Bar knife in high regard, and this USMC Fighting Utility Knife replicates its look and its feel in a small yet useful belt knife. 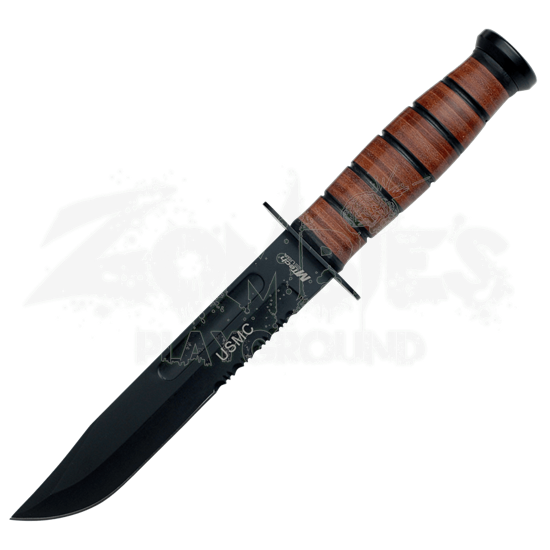 This knife features a rugged and militaristic design that looks perfect in a soldiers hands, while also featuring a solid make that ensures solid performance when you use it. The blade is blackened 440 stainless steel, and it features a subtle clip-point style that ensures plenty of belly for cutting and plenty of point for piercing. The blade also features a short fuller along its spine to help reduce weight, as well as small serrations along the leading edges lower one-third. Etched onto the blade is a USMC marking, further enhancing its military make. The handle is wrapped in leather for a comfortable grip, and it comes with a matching brown leather sheath that is burned with a matching USMC logo. 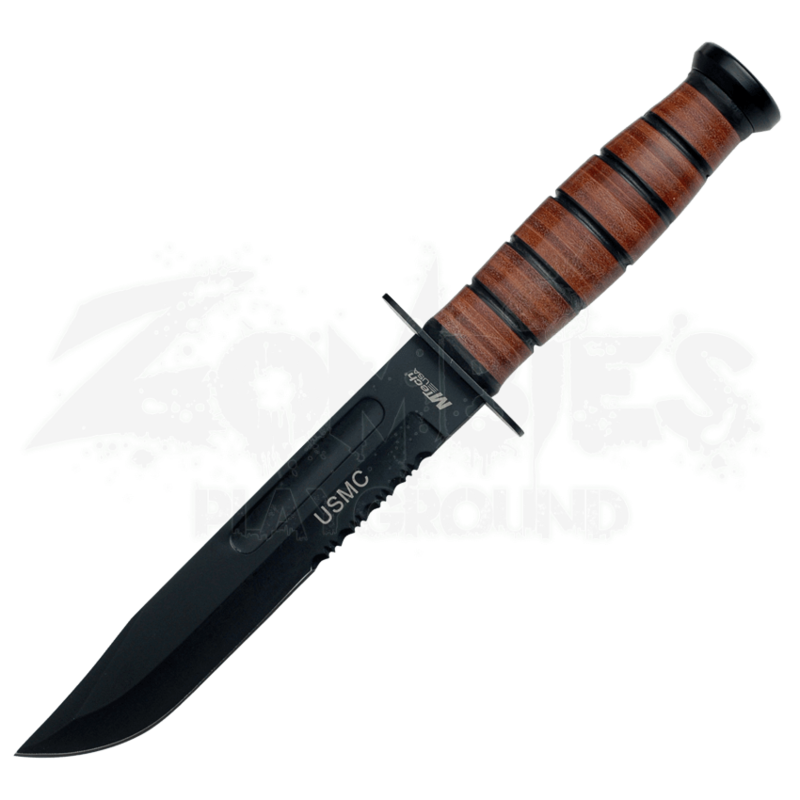 Rugged and reliable, just like the real thing, this USMC Fighting Utility Knife is a solid choice to hang at your side, whether you are looking for some self-defense from some zombies or arming yourself with a survival knife that you will put to heavy use when you hit your campsite.